In Munich, during the InPrint exhibition, Comec Italia signed an international agreement with Engineered Printing Solutions, (EPS), a Xaar group company: Comec Italia becomes European distributor for its full range of digital print products. 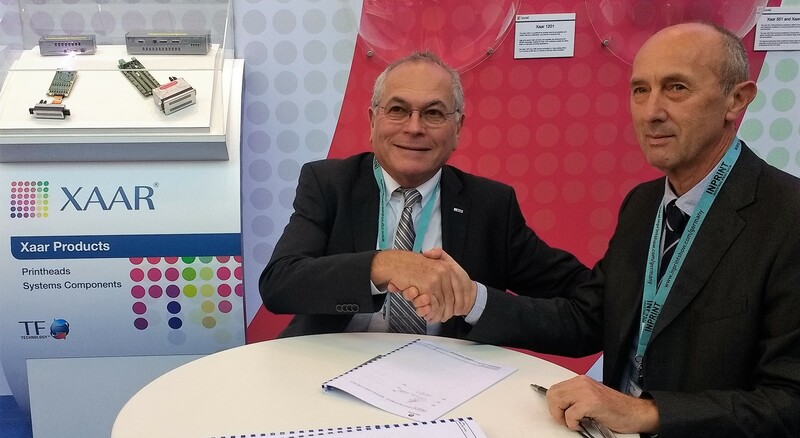 The new agreement will take full advantage of the existing relationship between EPS and COMEC, as EPS has been a distributor of COMEC pad print machinery in the US since 1985, and builds on COMEC’s strong position in product printing in Europe. “We are delighted to announce that COMEC has become our distributor across Europe,” says Julian Joffe. “As a major player in the print machinery sector, they will be able to pass on the many advantages available through EPS product printing expertise, and provide a great return on investment for manufacturers in search of a direct-to-product printing system.